Logo from the Rainbow Warriors group on Facebook. Is everybody getting tired of me posting about this again? I am. But since nobody else is doing this (and by ‘nobody’, I mean none of those paid media guys at the ‘news networks’ busy telling us crap like this matters. Okay, maybe this matters. Nope? what about this?) I feel some responsibility here. At least I know where there are outlets for news (although one has to sift carefully). Anyway, I sat on this story a couple days until I could semi confirm it. 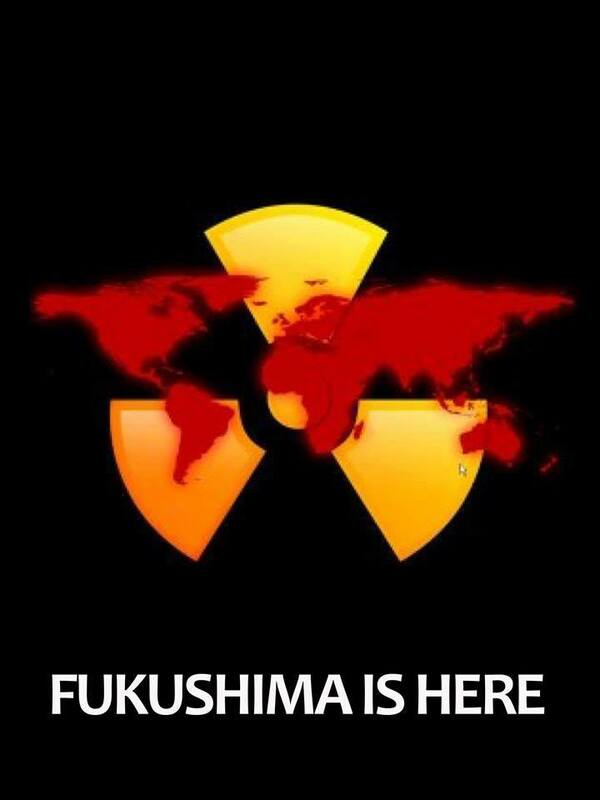 It’s about Fukushima (again). Every once in awhile, real news leaks out despite the best efforts of the Japanese Government to arrest people for reporting on the disaster. Or talking about an explosion of cases of thyroid cancer, for example. A story came out of NHK Japanese international TV. It was phrased in as bland a way as possible: Officials with the operator of the damaged Fukushima Daiichi nuclear plant say the water level inside the No.2 reactor’s containment vessel is about half what they had estimated…Workers with Tokyo Electric Power Company used robotic probes to measure the level and temperature of cooling water inside the vessel… They found the water was around 30 centimeters deep. They had estimated it would be 60 centimeters, based on images captured by an endoscope 2 years ago. But the gist was this (as explained by one of the bloggers on the Rainbow Warriors site): Rods are four meters long. With only 30 cm of water at 30 degrees Celsius for three years, I guarantee the fuel is burned up. For those of you from the US, 30 centimeters is about a foot. The fuel rods are around thirteen feet long. Put another way, most of the fuel assemblies in Reactor Two have no coolant covering them. Meaning… meltdown? have the rods already melted through the bottom of the containment vessel? What about reactors one and three? It would be nice to know the condition of the other reactors, but (something else most people don’t know) there’s no way to get robots near enough to look at the containment vessels. The site is too radioactive for robots. You should be paying attention to this. As Michael C Ruppert put it, ‘This is not a Japanese problem, it is not a North American Problem, it is a Human problem’.